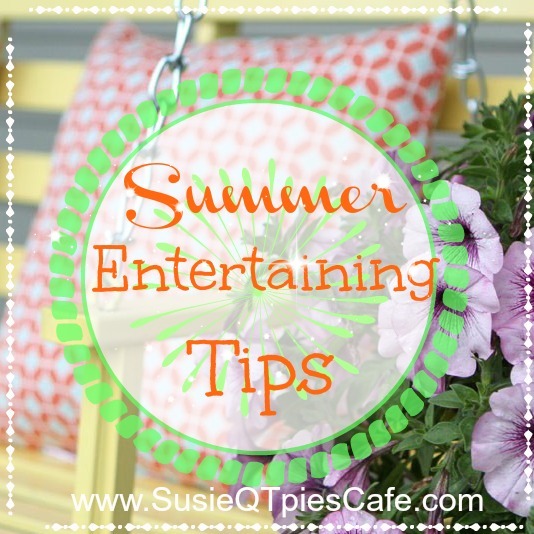 How often do you entertain in the summer? Do you entertain more in the summer than any of the other seasons? Summer is a great time to entertain because you can enjoy the fresh warm (hot) air and the open outdoor space of around your home, pool or favorite picnic spot. Summer for us means outdoor parties, bon fires, nature walks and hanging out with friends. It also means cool summer drinks! All of this can be done stress free with some easy summer entertaining tips. For this post, I participated in a campaign on behalf of Mom Central Consulting for Pure Leaf. I received product samples to facilitate my review and a promotional item as a thank you for participating. With this I have some summer entertaining tips and recipes for you to try! I'd love for you to share yours in the comments below and if you have a blog link, share! Feel free to share my post with friends so they can enjoy these tips, too! • Summertime is party time, and nothing says celebration like cocktails—and mocktails! A splash of vodka (or not) in Pure Leaf Sweet Tea, along with some fresh cherries, an ounce of elderflower liqueur, and some fresh mint—or, if you’re adventuresome, fresh basil— makes for a great, refreshing, showy treat! • The clean, crisp refreshment of Pure Leaf Not Too Sweet is perfect for lightly seasoned, light fare like salads, shrimp, and other delicate foods—compliments them without overwhelming them. • When you’re barbecuing, make it easier on yourself by prepping ahead with side dishes that don’t need to be heated: Bean salads, pasta salads, even a panzanella bread salad are easy to make ahead, and that frees you up to be the Grill Master. • It’s your last chance of the summer to wear white—so throw a White Party! Serve white beans, white asparagus, white Belgian beer, and be sure to tuck a napkin into your collar before eating. • The delicate, refreshing flavor of tea pairs beautifully with almost any food. Think of its abilities to clean your palate of rich, sweet flavors, and to compliment more delicate ones. Offer a range of teas—sweet, unsweetened, not-too-sweet, peach—to give your guests choices, then serve with interesting garnishes (cherries, kiwi, blood orange, Meyer lemon, and a selection of herbs). • Nobody wants to hear themselves chewing at a dinner party, so don’t let “dead air” happen at yours! For a fun ambience, the music must never stop. Develop a playlist of elegant background music—no surprises like heavy metal or John Philip Sousa. My go-to is Chet Baker. Summer drinks are always welcomed at the parties we attend or host. One of my favorite drinks in summer is ice tea. I steer away from super sweet drinks even though they seem to be the most popular. For me, sugar makes me crave more sugar and wrecks havoc on my healthier lifestyle journal. So if I have to prepare summer drinks, I use products that fit my needs! This is where my excitement to do this post came in because it involves Pure Leaf and their two lower-sugar iced teas. I personally make mean jug of unsweetened iced tea (recipe soon) and will make a simple sugar syrup (recipe next week) for those who need their tea sweet. When making fun summer drinks it helps to have a go-to base for the tea. That is where the new lower-sugar iced teas work for me. I'm in totally love of their Not Too Sweet Peach Tea and Not Too Sweet Honey Green Tea. I feel as those these two are perfect for those who avoid sugar and those who love their tea sweet. These are great to have on hand for your summer guest or to grab and take a long on car trips, picnics or to create tasty summer drinks. 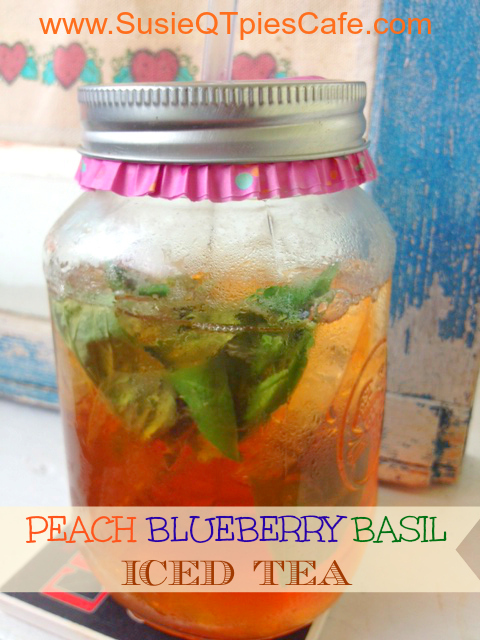 One recipe I'm thrilled to share is Peach Blueberry-Basil Iced Tea. This is great served with mason jars! Crush blueberries and basil with wooden spoon in 1-quart glass measuring cup. Stir in Pure LeafTM Not Too Sweet Peach Tea. Strain and serve in ice-filled glasses. Garnish, if desired, with additional blueberries and basil. 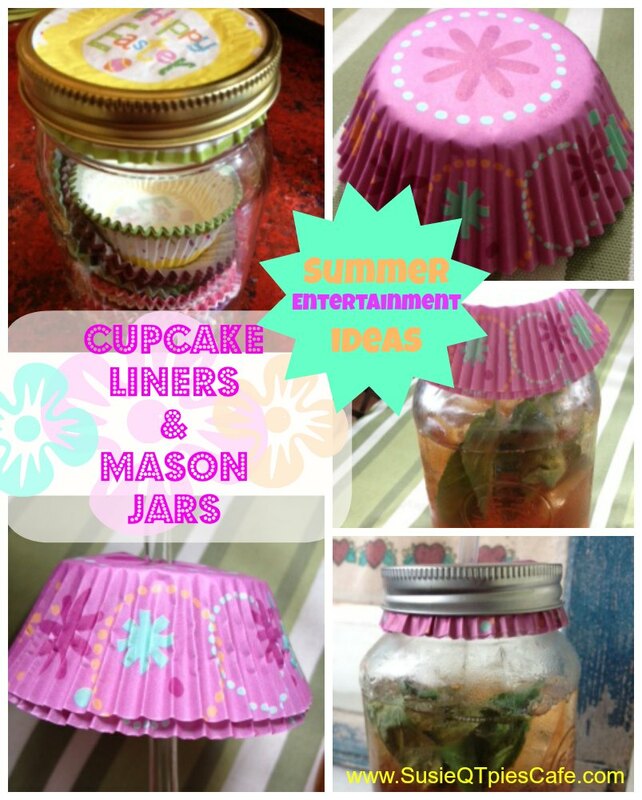 For summer entertainment with drinks, have mason jars for the tea. We love having cupcake liners which match the party theme or just various cupcakes liners available and everyone can pick the one that suites them. These liners can be used to cover their mason jar to make it as their own and to keep the bugs out! We also offer mason jar rings so that they can "seal" their drinks. Besides the Pure Leaf Not Too Sweet Tea they also have Unsweetened Iced Tea, Sweetened Iced Tea, Extra Sweet Iced Tea, Extra Sweet Iced Tea, Iced Tea with Raspberry, Iced Tea with Peach and Iced Tea with Lemon. These can all be used to make your summer entertaining easy! 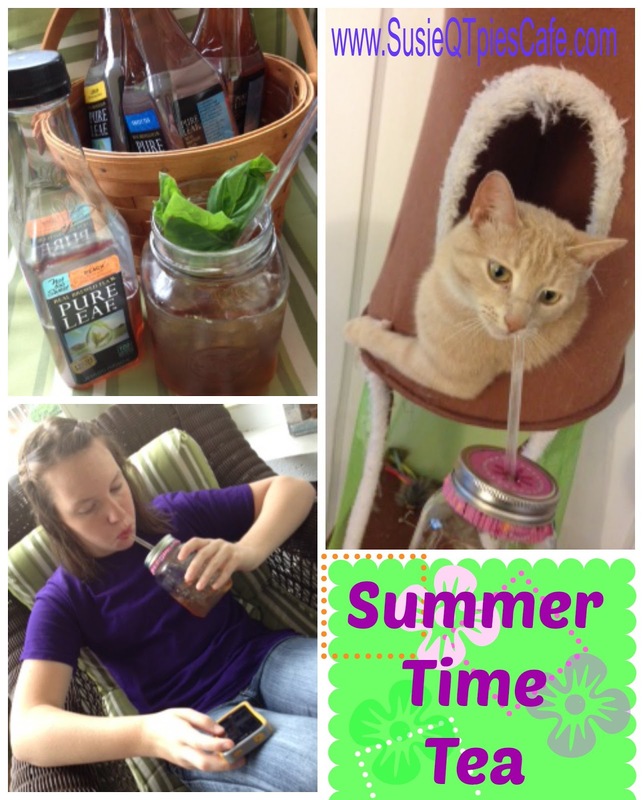 If you follow Pure Leaf on Facebook you will get more summer entertaining ideas, recipes and even free printables! Remember, share your summer entertaining tips and recipes below so we can all be prepared to relax and sip our tea with our guest! This looks delicious and refreshing. Thank you so much for sharing with Full Plate Thursday and have a great week! Coolest way to spend a best summer season with healthiest meals, drinks and etc. 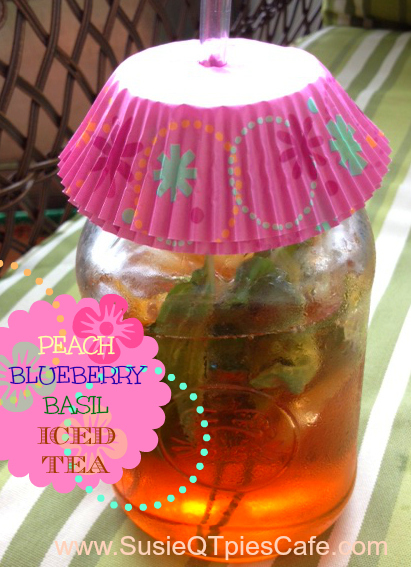 Susie, Thank you for the Peach Blueberry-Basil Iced Tea Recipe! This is perfect for our household :) I'm obsessed with peaches and my hubby loves him some blueberry! I'm so pinning this... thank you for sharing this in our #PinUP Pin Party! !